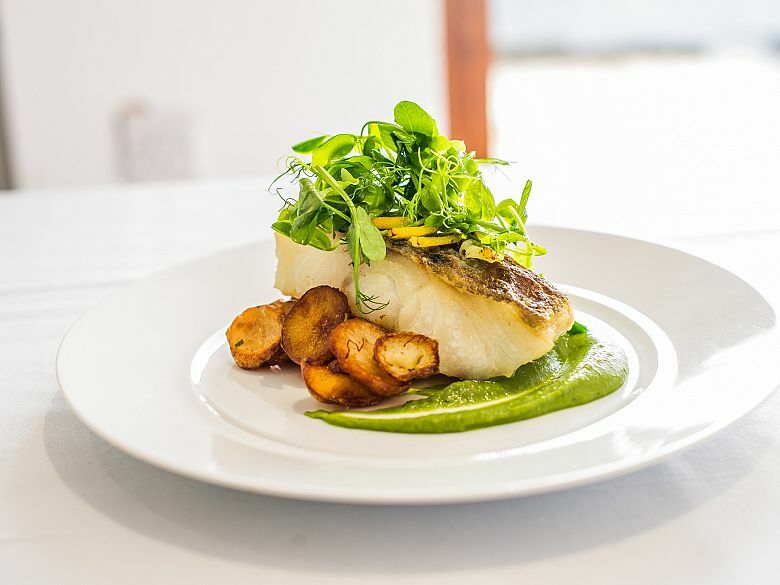 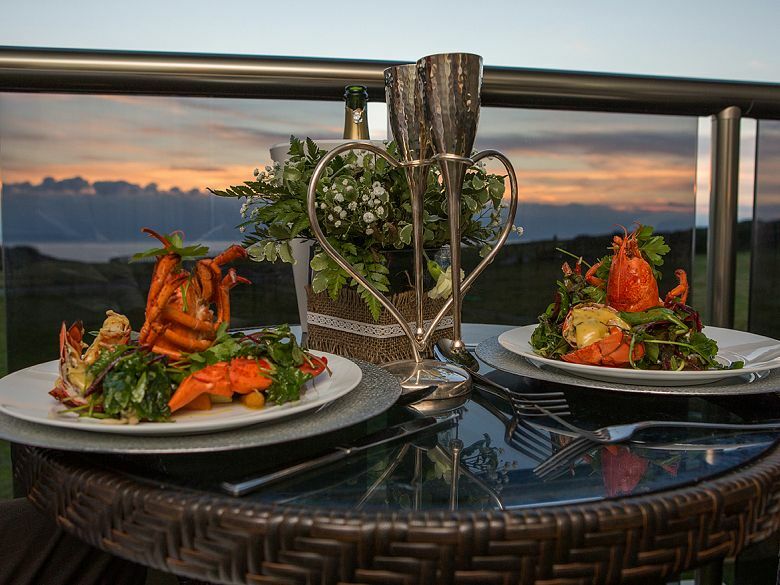 We love our location at Ocean Kave, as one of the leading wedding venues in the South West of England, we have access to some of the best sources of local produce in the region. 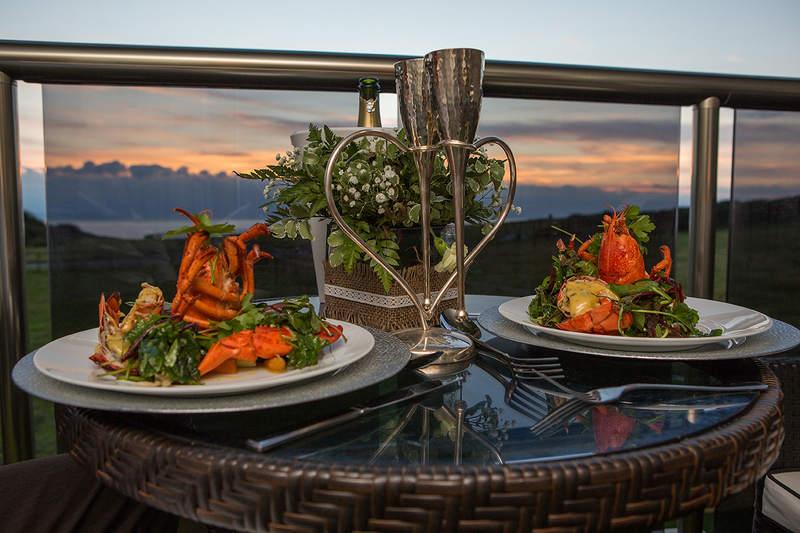 With the Atlantic Ocean and luscious fields of Exmoor on our doorstep, you can be assured of the very best in local quality ingredients. 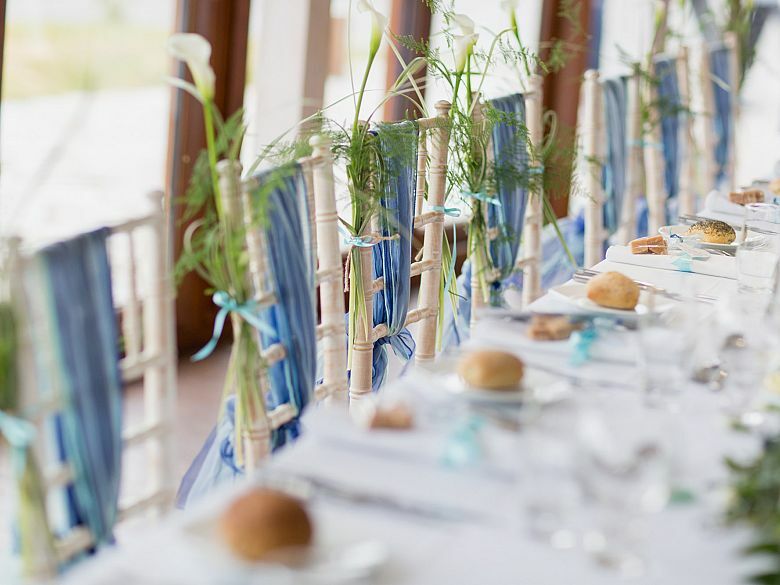 Whether its romantic private dining for two, a full wedding banquet or a coastal-inspired BBQ for 120, your wedding breakfast at Ocean Kave is more than just a meal. 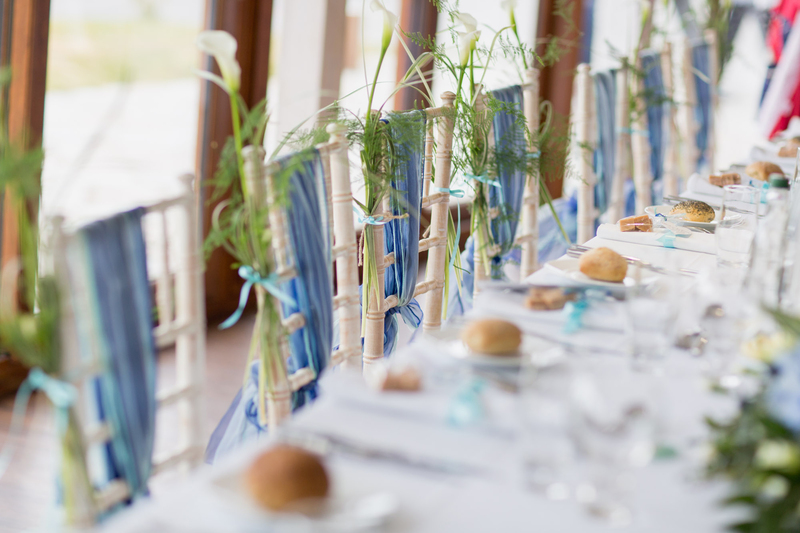 We consider it to be a dining experience and as such, every element of your day will be tailored to your needs. 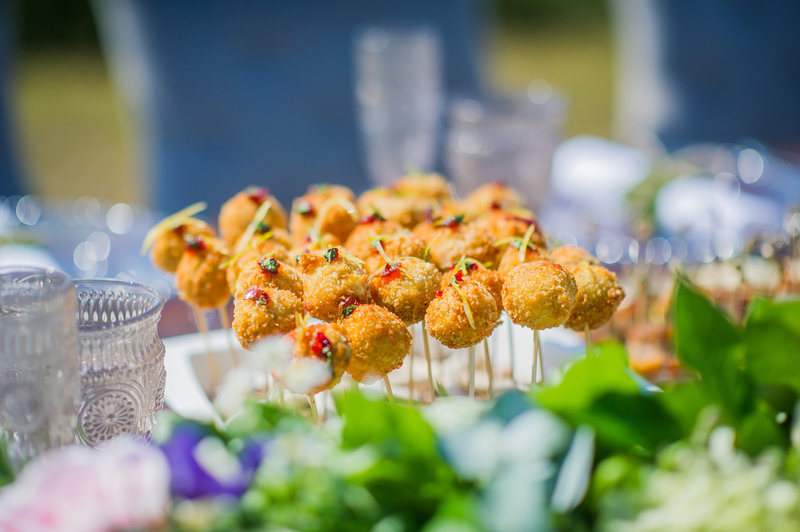 Our catering team will work to accommodate dietary requirements, differing tastes and needs. Our menus have been created to offer you the choice and freedom to create a menu that suits both your palate and budget. 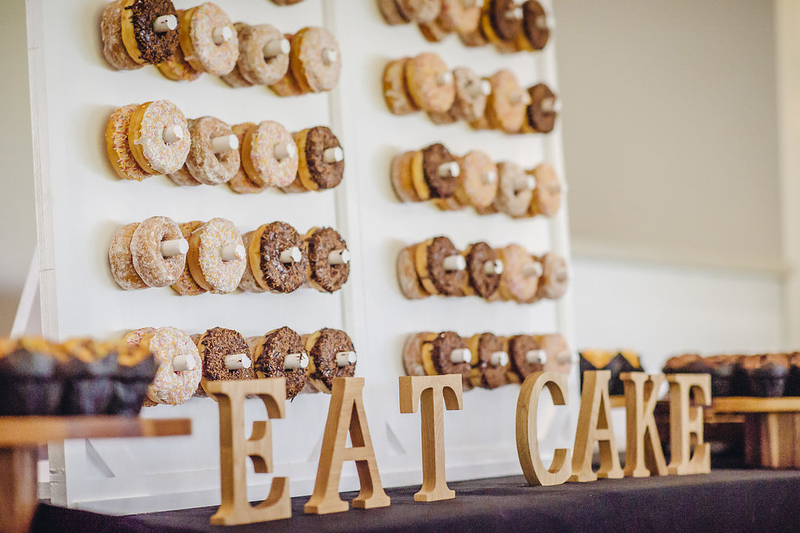 You are welcome to bring your own wedding cake to the venue, we also welcome local wedding ice-cream vans. 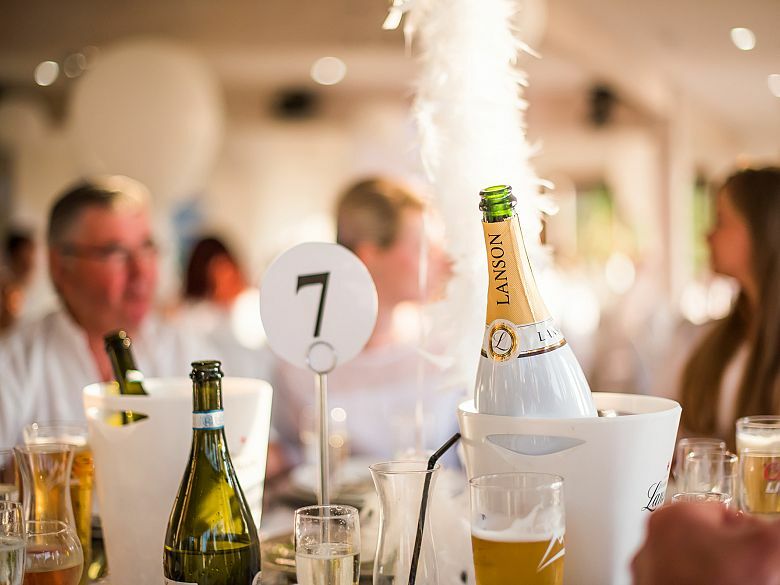 We do not offer corkage or any outside other catering at Ocean Kave, but we do have an extensive range of wines, local ales and cocktails. 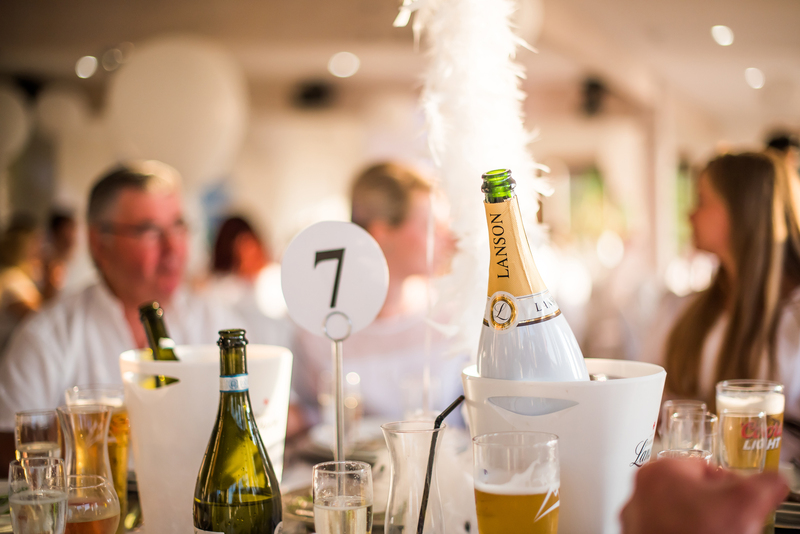 We also offer a fabulous wine and cocktail list to accompany your menu. 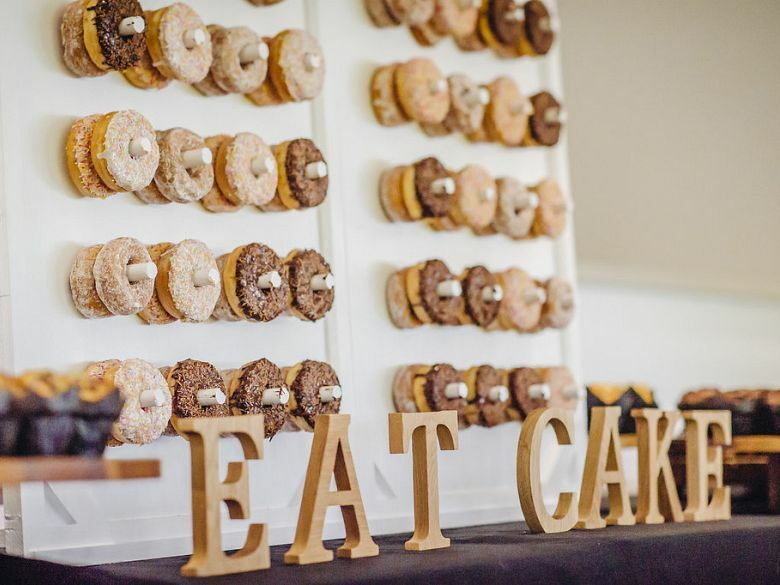 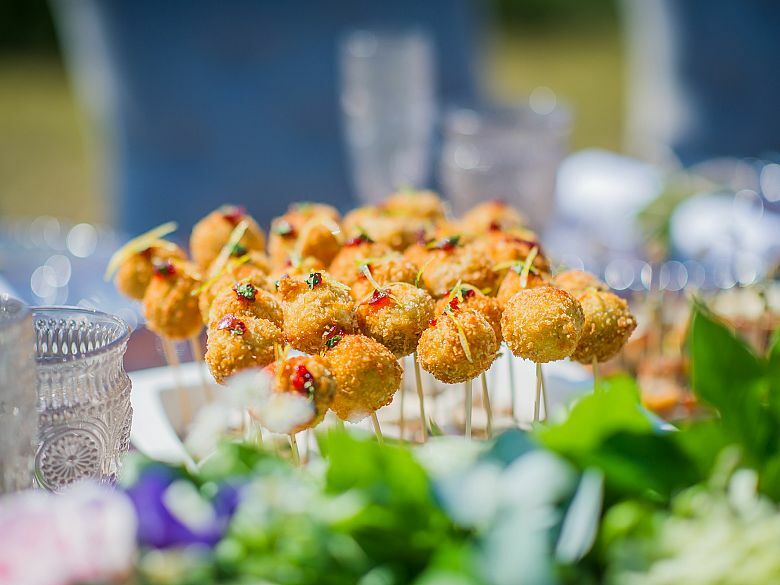 As well as our lovingly created range of wedding day catering options, we can provide delicious locally sourced wedding cheesecakes, welcome hampers, in-cottage dining and farewell breakfasts for your guests.